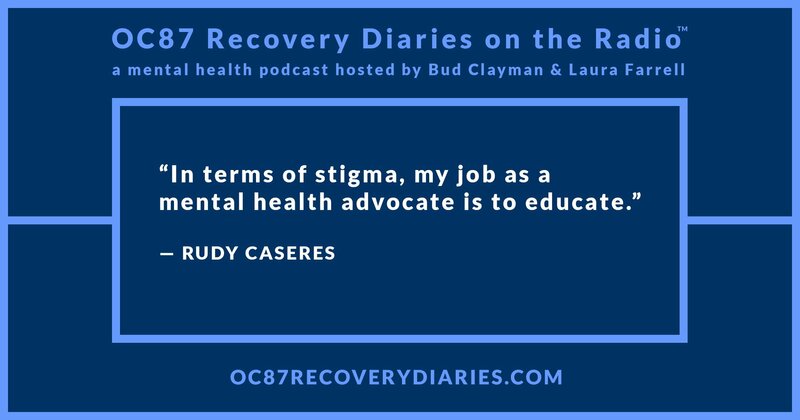 Rudy Caseres is a mental health advocate living in Los Angeles. He discovered he was bipolar in 2014 after experiencing a two month long manic episode. 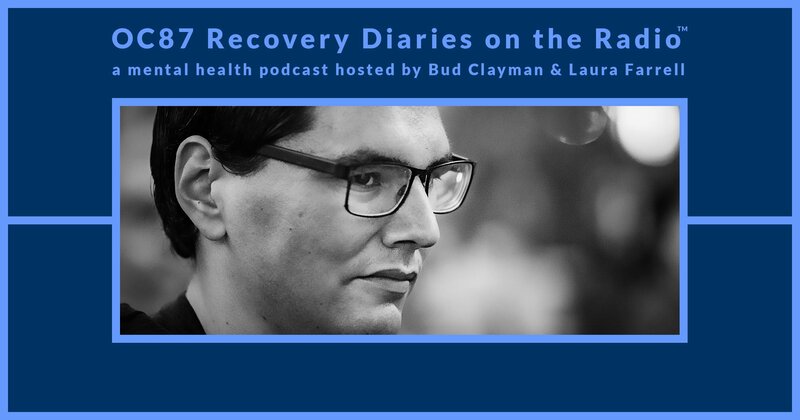 While his bipolar diagnosis is recent, Rudy has lived with depression and anxiety his entire life. Initially, he was diagnosed with schizophrenia after a catatonic episode while serving in the US Army, which led to the first of three involuntary hospitalizations. After leaving the Army, Rudy felt hopeless and ashamed, due to the stigma attached to mental illness. Convinced he was a failure, undeserving of love, Rudy attempted suicide. After several years, several therapists, and more than several medications, he began to believe his story was worth sharing. Rudy felt that he was capable of making a difference in how the world views people with mental health challenges. Rudy almost walked out just before giving his first speech, but he has come a long way. Rudy has facilitated over a hundred presentations in front of graduate students, doctors, psych-ward patients, educators, and students at junior highs, high schools, and even a juvenile hall. In addition, his content has been featured on The Mighty, This is My Brave, HealthyPlace, The S Word, Wear Your Label, Project UROK, Sweatpants and Coffee, and Schizophrenic NYC. Rudy is very active on social media, most prominently on Facebook, where he sparks dialogue on important, and often controversial, issues within the mental health community. Besides sharing his own story, he also hosts a Facebook Live talk show where he interviews various mental health advocates and interacts with viewers in real time. In August of 2017, Rudy received the Outstanding Peer of the Year award from NAMI California and was nominated for a SAMHSA Voice award. Even with all these accomplishments and the immense positive growth he’s experienced, Rudy is still bipolar. He’s still anxious. He’s still horrible at making his bed. And he wouldn’t have it any other way. 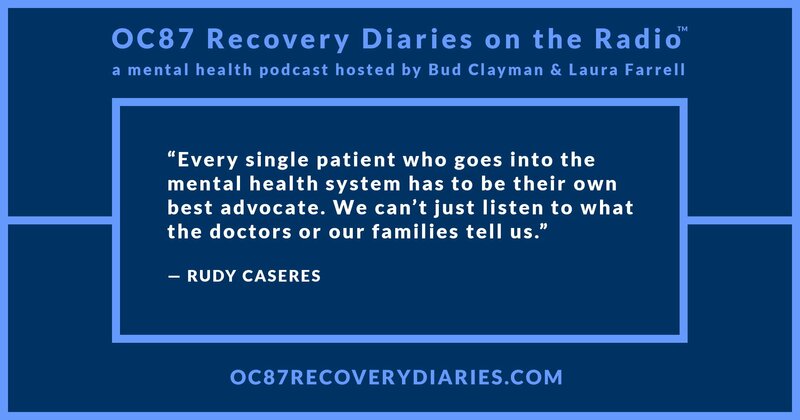 On this episode of OC87 Recovery Diaries on the Radio, we talk with Rudy Caseres on our phone lines from Los Angeles. Thanks for listening to this engaging and honest interview!